Unisex comfortable and trendy cotton polo with a three colour contrast at reversed side collar, necktape and at sleeve cuffs. Placket with 3 buttons. 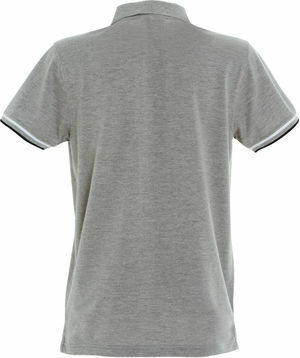 Unisex comfortable and trendy cotton polo with a three colour contrast at reversed side collar, necktape and at sleeve cuffs.